Because my husband Vin was on the Board of Center Theatre Group — and because Charity Wu, their lovely head of Individual Giving in the Development department — knows us… Charity always makes sure to leave a special ‘hello’ for us in the 3,000-seat theatre. Last night she did not disappoint. 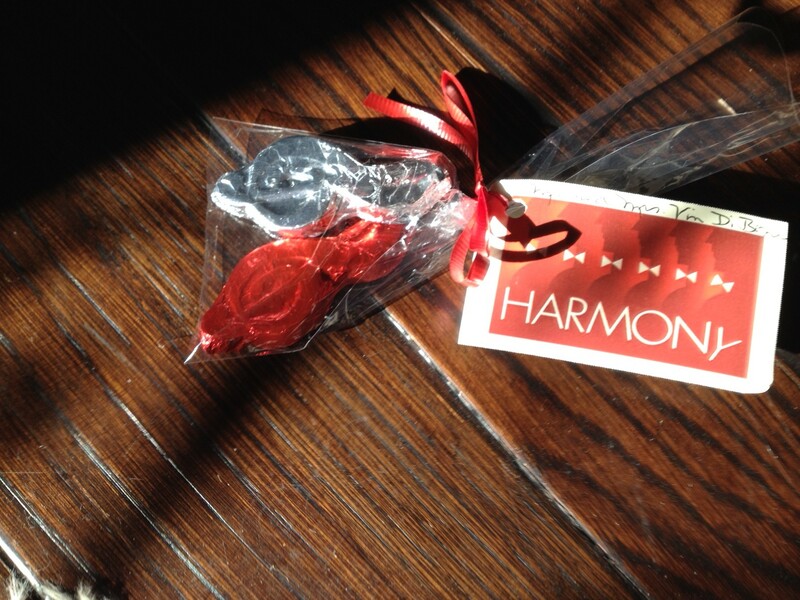 A bag of brightly-tied chocolates, both in the symbol of a music note, awaited us. She knows how to make us feel special. I always let Charity know her thoughtful gesture is appreciated. And the musical is spectacular. 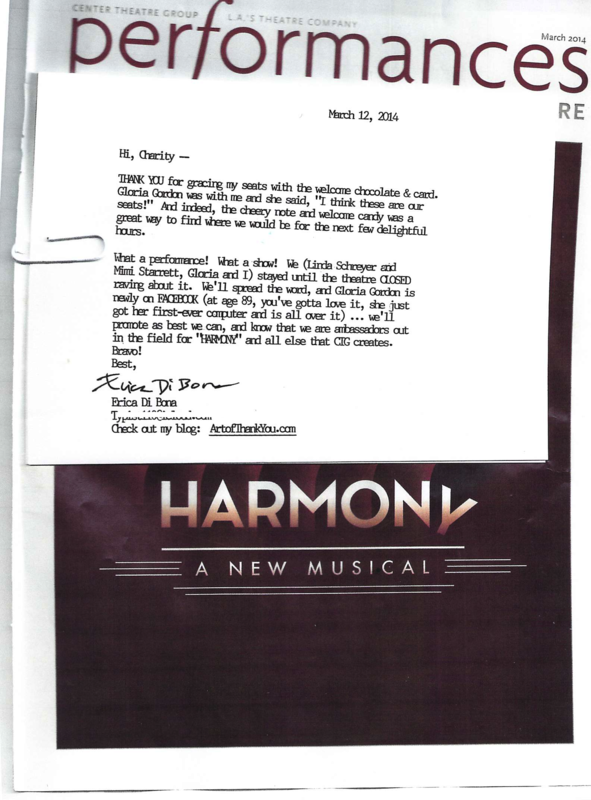 “Two thumbs up!’ for “HARMONY”. Now at Center Theatre Group through mid-April.